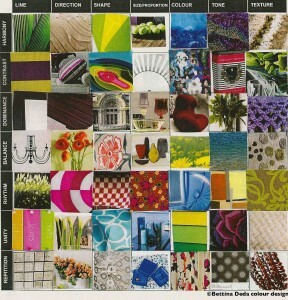 Hi, this is Bettina from Bettina Deda colour design and from now on I will regularly guest post on Amanda’s blog. Amanda and I are connected through The Designer Chicks. I am a stylist, artist and author and specialise on helping empty nesters to create a happy home in their new space. I will share articles about interior decorating, colour, de-cluttering, storage optimisation and international trends. Today I am going to talk about the basics for any design work: the elements and principles of design. Enjoy! As I learned during the research for my forthcoming book Downsize with Style, one of the major (decorating) challenges for apartment downsizers is how to make a small space look larger. From a design point of view there are several methods how to tackle this challenge. As you can’t change your floorplan, it is beneficial if you understand the elements & principles of design. They are the basis for all design work and will help you create impact in your home. Combining elements and principles of design you can create interesting interiors that are balanced and calming or colourful and stimulating. The world is your oyster. Flick through some interior design magazines and look at interiors you like with the elements and principles of design in mind. This is an interesting exercise and helps you understand why you like a certain interior. Then apply these principles in your own home. Colour is the most powerful tool when it comes to non-verbal communication. It is the design element that can change a space immediately. A different colour on the walls can completely change the atmosphere of a space. Colour brings individuality to a space and it is one of the most useful tools to master when decorating. Visit a hardware store or paint shop to dive into the realm of colour. Pick colours that instantly speak to you. See if you can match your favourite colours to colours you have found in nature or during your discovery tours. When choosing a colour for your home, it is important to think about the mood and atmosphere you would like to achieve in a space. Colour can stimulate us or evoke feelings of calmness and serenity. Colours remind us of past events in our childhood or great holidays we spent with our family. Good design will always add value to your apartment. Depending on your needs, look for intelligent design solutions for your home. Look for furniture companies specialising on apartment furniture. You will find lots of ideas for clever and versatile pieces you may not have thought of. The trick is to find a versatile piece that can be used for different purposes. Look for furniture that can be used as a standalone piece, or be used in combination with other pieces for a different purpose. I also find that Scandinavian designers create wonderful contemporary furniture, with slim lines and lots of customisation options to suit small spaces. A very simple method to make a space look larger is using the same flooring throughout the whole apartment. Especially in open-plan living areas, a single finish from the entrance through the living and dining area will widen the space. This will even be enhanced by continuing the chosen finish to the outside entertainment area. In decorating your home you can unleash your creativity! Even if you think you are not creative at all, give it a go and start being inspired by interior designers from all over the world. Research design blogs and follow the ones that speak to you. 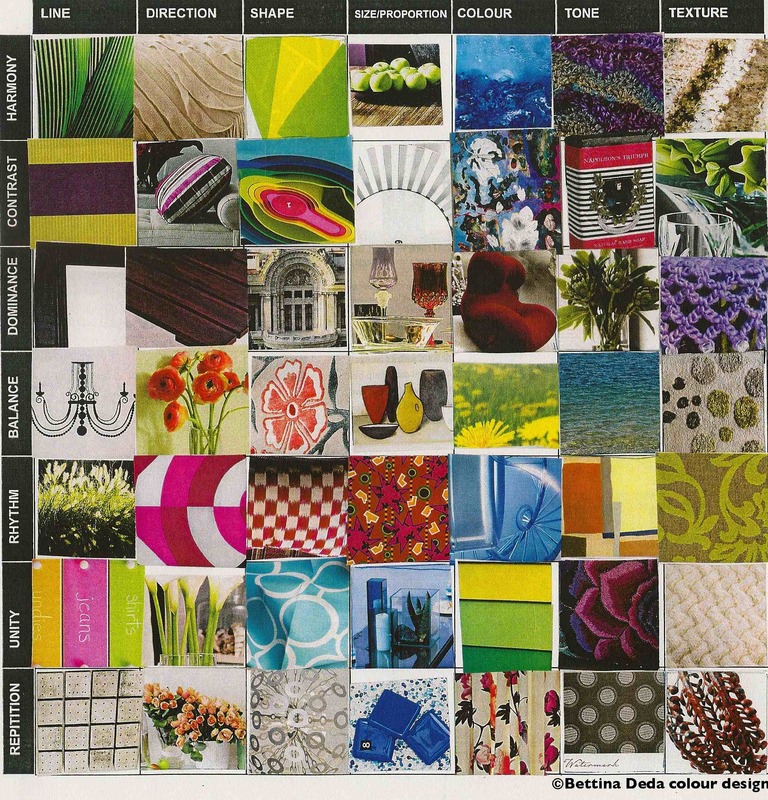 You will discover that most interior designers love to share their work and inspirations. Borrow the things you like and implement them in your own home, with your modifications. If you are downsizing or planning to move, I would love to hear from you! Share your challenges in the comment section below. I will answer all your questions. And I am pretty sure, others have the same questions! "We engaged Up-lift Interiors to prepare our four-bedroom home. Our home sold for the highest recorded price for our area—ever. We feel Uplift Interiors’ decorating decisions made a large contribution to that exceptional sale price. If you are thinking of selling your home, and want to get the highest price, I recommend giving Uplift Interiors a call."